The fastest car to date has been clocked at 268 miles per hour. The Speed of Sound is 768 miles per hour. The Speed of Light chuckles at both -186,282 miles per second, thank you. But the speed and agility of the human mind smokes them all. Our ability to reason and communicate has elevated our species to where we stand today, and hints at glistening potential ahead. We’re now visited by Gemini, ruled by Mercury, the swift moving planet so closely connected to the Sun in vicinity it leads us to believe that our rational minds are intimately linked with our spiritual direction, as we carry these internal organs of information conductors. In Greek mythology Mercury was Hermes, the messenger of the gods, the conveyor of divine messages to humans, as well as the conductor of souls between this world and the next. Hermes, also known as ‘the trickster,’ was the only god that could move freely between the earth and the underworld, which may not sound like much, but believe me, that’s a hell of a hall pass. Geminis excel in their ability to use reason and communication skills to strive for a higher intelligence driven by the need to stretch their minds and experience this plane on a multi-sensory level. Like the swift path of Mercury, their minds are like internal rapid-fire grand central stations. All their mental activity needing means of export– they ravenously feast on information, coupled with their need to express and articulate. Their spirit is of the eternal scholar and communicator. Never at a loss for words, be they written or spoken. They are the first sign to really extend a welcoming handshake. Commonly referred to as ‘social butterflies’, they effortlessly alight amongst numerous social circles. Not only do they need such diversity to stimulate their interest, but they truly have a genuine fascination with all kinds of people. Everyone gets an invitation to their cocktail party, and believe me, they know everyone – even the people we’d hoped weren’t invited. (Geminis still find them interesting. Yeah, I don’t get it either.) Since they talk to everyone, it means they’re ‘in the know’. I have a Gemini friend I refer to as ‘The Source’ because she’s actually more reliable than Reuters for pertinent information (gossip is such an ugly word). They’re master conversationalists; some of the most witty and adept wordsmiths with a great appreciation for discourse. They may not agree with you, but they savor an articulate exchange like a fine wine. The topic is really irrelevant. 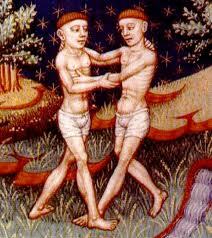 I’ve always imagined the Gemini version of hell would be a month long silent meditation retreat. I think they would burst into flames. Known for their dualistic nature, this sign of the twins thrives on versatility and change. Books have referred to them with a kind of Jekyll and Hyde persona, but that is rather limiting. I think of them as chameleons of the zodiac – instantly, seamlessly adapting to whatever environment they find themselves through flexibility, universal appeal and an innate verbose charm. (Oh, and they’re huge flirts. Shameless.) Some people have expressed irritation at their inconsistent, ‘fickle’ nature. Tomato, Tom-ah-to. Geminis are in no way deceptive or malicious. They simply changed their minds, and frequently themselves as well. They tend to do that. They truly meant what they said and said what they meant at the time, but now they’re in a different space. After the determined commitment of Taurus, Geminis must break free to have new experiences, even if they come up as quickly as a flash of inspiration, which they can have all the time. This existence can be so limiting, if they can’t change they’ll be boooooored. Come to think of it THAT would be Gemini hell. Repetition. Routine. Their bumper sticker must read – Been there; done that. Next! Perhaps it’s this versatile, open and seeking nature that gives them an eternally youthful quality. Regardless of how old they grow, they seem to retain a Peter Pan type energy – effervescent, spry, mentally agile. Jungians refer to it as the puer aeternus, the eternal boy (puella aeternus for women). Fueled by their endless curiosity, it keeps life always fresh and interesting. Look at children – they are ever alternating between inquisitive and observant. That flower is pink. He’s wearing a funny hat. And the questions – Why? Why? Why? Geminis seems to retain that same fascination and mental stimulation that comes from the ever fresh influx of information and conversation. 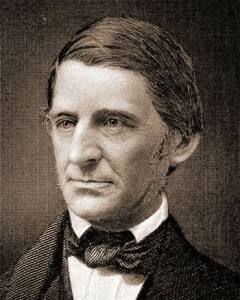 Ralph Waldo Emerson (May 25th) was an American essayist, poet and lecture who led the mid-19th century Transcendentalist Movement. He disseminated his thoughts through published essays and more than 1,500 lectures across the United States. He wrote on a number of subjects, but particularly championing the individual, freedom and the ability for man to realize almost anything through examination as well as the relationship between the soul and the surrounding world. His essays are considered one of the linchpins of American thinking and have greatly influenced many philosophers and writers who followed him. Some of my favorite all time quotes are attributed to him. I’m continually struck by his poignant and simple wisdom, so I’ve learned not to be surprised when I read that little –Emerson following a particularly inspiring quote. 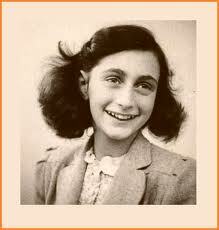 A much younger writer, Anne Frank (June 12th), will always be remembered as the most famous ‘journalist’ of our time, literally. She and her family lived for years hidden in an attic in Nazi occupied Amsterdam. Forced to be silent during the day and still quiet during the nights, for fear of discovery and capture. Her wise beyond years words filled her hauntingly beautiful diary, an intimate chronicle of pure honesty and sharp insight. The challenging conditions she lived under did not silence her voice, nor dampen her faith in the goodness of humanity or her hope for the future. Tragically her capture and death by concentration camp denied us whatever beautiful works this talented writer had yet to pen. Johnny Depp (June 9th) is at the top of his game. Once known for projects that were ‘box office poison’, he never veered from choosing roles that interested him, rather than those he thought would be crowd-pleasing blockbusters. He credits some of his talent to his ‘fascination with human behavior, trying to understand what’s going on beneath the surface, the worlds inside people.’ Over the years he grew highly respected for consistent delivery of thoughtful and rich performances. His understated brilliance rests in his ability to transform into a role so completely that it’s hard to believe it’s the same actor. From his achingly sensitive Edward Scissorhands, to his Keith Richards-inspired (mad genius) Captain Jack Sparrow, to his maniacal and witty Mad Hatter, this trickster defies stereotyping and continually leaves us believing that there’s nothing he can’t do. You never know who he’ll be next, which makes him mesmerizing. Sexiest Man Alive? That’s just gravy. Only in recent years have I heard this term bantered around known as ‘intellectual elitism’. Would someone please tell me when intelligence became frowned upon? Or is it only inappropriate if you’re smarter than other people? Should we replace it with aspirations of being uniformly contently ignorant? We place the onus on our educational system as responsible for future generations, but true wisdom comes from the self-driven motivation to learn. Every day is rife with opportunities when we nurture curiosity, examination, growth. Geminis are the torch carriers of mental advancement defending us against the danger of mental complacency, or worse, blind acceptance. The most important daily exercise we can do is in our cranium. Oh sure, we worship athletes, chanting their names after a slam dunk like they’re sweat-drenched royalty, but how much do we admire those with a sweat beaded brow? Give me an Adonis with the bulging mass of grey matter between his ears. Personally, I worship (and envy) the insatiable readers, the kind who send me sheepishly scurrying to my dictionary (remember those?). I’m positively giddy when someone unassumingly drops pearls of eloquence like ‘caveat’ or ‘minutiae’ in a casual conversation. And truly I fear that our obsessive fascination with techno gadgets are slowly eroding our collective intelligence, articulation and our ability to communicate in this generation conditionally resistant to read anything more than 180 characters while drowning in a deluge of OMFGs and LOLs. I guess I’m an old fashioned, Kindle-eschewing kind of girl. And probably an intellectual elitist. I can live with that. In the Tarot, the Mercury card is The Magician, which speaks volumes. In an ancient image it heralds the power we have in our minds; that seated in each of us is the ability to create magic. Every great feat started with an idea – a seed sprouting through the flash of a thought, traveling faster than the speed of light. An idea took man from the ground to flight – from Kitty Hawk to the moon in but a celestial blink of 66 years. And that’s just one example, dare I start a list. Regardless of what we think, research continues to show us that the human mind is boundless in its capacity, an ever-developing organ of vast untapped potential, restricted only by limits of our own making. Internally we have an outstretched hallway with infinite doorways leading out in to this world and beyond – all ajar, beckoning us to cross over. Will we follow the winged footsteps of the Mercurial messengers and fly through the doorways or will we slowly close them and settle in our limitations? Albert Einstein (not a Gemini, but a still a pretty sharp guy none the less) said, “The true sign of intelligence is not knowing, but imagination.” Perhaps he realized that the minute we ‘know’ something, we close a door. If we follow in the path of Geminis– loose and nimble with an open, insatiable mind, we too can have the freedom to travel between worlds and home again. Maybe then we’ll really have something to talk about. LeeAnn,you’ve even surpassed your previous writings in this brilliant treatise on Gemini. YOU are Hermes incarnated. Stay old-fashioned,please, because the verbally gifted have to keep the language alive. That quote from JFK (a classic Gemini) is masterful. I look forward to continuing to read the products of your mercurial talents! Superb article on the Twins, LeeAnn. Even the pace of the article is so Geminian. Thanks for your writing gems!